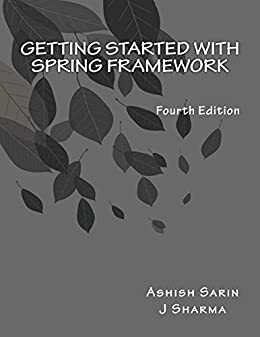 Getting started with Spring Framework, Third Edition has been updated to reflect changes in Spring 4.3 and also includes new chapters on Java-based configuration and Spring Data (covers Spring Data JPA and Spring Data MongoDB projects). Most of the existing chapters now cover both XML- and Java-based configuration approaches for developing applications. getting started with spring framework third edition Facelets, Ajax, and PrimeFaces Interested in live training from the author of these tutorials?